There are so many amazing wedding photographers out there, it is hard to know who to pick. I have worked with hundreds of wedding photographers, and I feel that the single most important thing for a bride and groom to consider is style. Look at as many portfolios as you can and you should get a positive gut feeling for one or two that seem to capture exactly the look that you want, whether it is reportage, artistic, traditional or a mix of various styles. I chose an unconventional photographer for my wedding, and while many of my family members opted for prints of the more traditional poses he covered, I still look back at the amazing and creative shots that I chose for my final enlargements and am so glad that I didn't opt for the a photographer would would only capture 'kiss at the aisle' and 'first dance' type shots. When my dad said that to my mom when they discovered they were pregnant with yours truly, she was not impressed. Nevertheless, wed they were. When Grissom said that to Sara Sidle on CSI last year, fans went nuts (either in a good or bad way, depending on the fan), and Sara found it quite endearing (perhaps it was the beekeeping suit?). Either way, deciding to tie the knot can be a tough choice. For my hubby and me, it was pretty simple; we’d been together for years and knew we would do it eventually. We ended up spending a lazy day at the courthouse, signing our names and taking a weekend honeymoon at a local “haunted house.” Fun! Amazon has sold jewelry, including diamond rings, directly to consumers for a few years now, but they've done something pretty nifty; they have a "Create your own diamond engagement ring" program. And it's actually very well done. You'll want to set aside a few hours to read the background information first, about what makes a diamond look good, and why some cost so much more—all about what gemologists and jewelers call the "3 Cs": Cut, Clarity, and Color. It's accurate information presented interestingly. In fact, Amazon's "Create the ring of your dreams" site really is a model site. If you mention Loch Ness to most people, their first thought will probably be of the Loch Ness Monster. But the area offers more than just myths of a prehistoric creature lurking in the deep. For couples looking for an old fashioned Celtic wedding, it is an extremely picturesque place, with stunning scenery. It also boasts two ancient castles which would make a very romantic location for a wedding. A dream of a destination wedding in Scotland is invariably filled with images of misty lakes (or 'lochs' in the local dialect), green mountains, bagpipes and men in skirts, er, I mean kilts. And those dreams can certainly be a reality. Scotland offers some truly spectacular wedding venues that just can't be rivalled anywhere else in the world. From ancient castle ruins, to castles, to luxury resorts, Scotland has a rich history which infuses any location. And while there are many wedding venues in Scotland that have their own special charm, there is only one that lets you have your Scottish wedding on your own island! As if a destination wedding in Ireland at a traditionally beautiful stately castle wasn't intoxicating enough, this wedding location has a romantic history which makes it even more amazing. If you are dreaming of a wedding in Ireland, every imaginable comfort and the finest gourmet cuisine your palate could desire is Abbeyglen Castle Hotel. 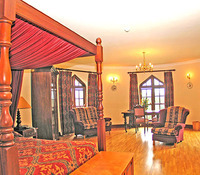 Located in the village of Clifden, County Galway, Republic of Ireland, this exclusive four-star castle will awe you with its captivating views of Twelve Ben Mountains and the sea. If you have been contemplating a destination wedding on the West coast of Ireland,Abbeyglen may be the perfect location to look into. It's no secret that I am a fan of green weddings, so I love it when I find a resource for couples looking to incorporate some eco ideas to their weddings plans. Remember those winter wonderland weddings that I mentioned earlier this week? Well here is a video, showing just how beautiful a wedding in an ice hotel can be. 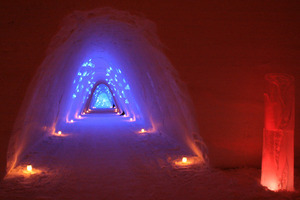 The first video is from the Ice Hotel in Sweden, and the second is the Ice Hotel in Canada. Who hasn't dreamt about a destination wedding in England? Armathwaite Hall Hotel and Spa of Cumbria is one of England's most beautiful locations. Set on 400 acres amongst parks, woodlands and lake frontage on a majestic private estate. Partially standing on the original site of a manor owned by Sir Adamde Bassenthwaite during the reign of Edward II, this hotel is personally run by its resident owners, the Graves family. Constant improvement of this lavish, stately English home is of utmost importance to the family so it's luxurious traditional appeal is hard to beat. Destination weddings don't have to be all about beaches and sunsets on hot tropical beaches. From the mountain landscapes of countries such as Austria and Croatia to the crisp, snowy scenery of Canada and Scandinavia there are many options for winter wonderland weddings. 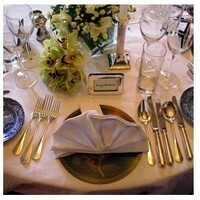 Finding the perfect wedding venue is somewhat of a challenge at times. There are so many locations to choose from that it would be impossible to check them all out. Even flicking through brochures and magazines can sometimes seem overwhelming. On the other hand, if you are interested in having your wedding in sunny California wine country, your task just became easier. Why rush through a quick visit of a possible location, trying to imagine what it could offer for your wedding when you can relax and enjoy yourself while you visit one of the most gorgeous locations available for a wedding?